Summit net-minder Grant McCormack is still getting adjusted to playing goalie on his high school hockey team. No, not because he’s freshman — it’s because the position is relatively foreign to him. McCormack, who’s played hockey his whole life, only played the position for one year on his peewee team. Now he’s stepped as Summit’s full-time goalie as Nikita Pryymak is recovering from a lower body injury and has helped the Hilltoppers grab some gold. McCormack was a proverbial brick wall in Summit’s 3-0 win over Westfield in the Union County Tournament finals Saturday night. He stopped 21 shots, captured the shutout and was named tournament MVP. 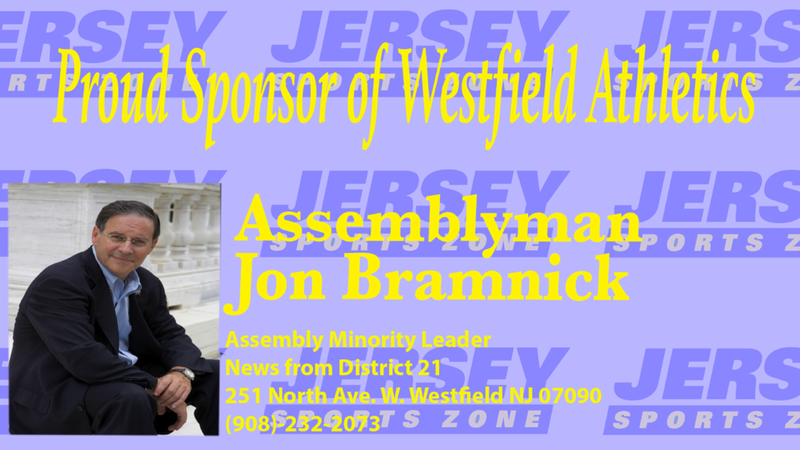 Jersey Sports Zone’s coverage of all Westfield athletics is brought to you by Assemblyman John Bramnick.